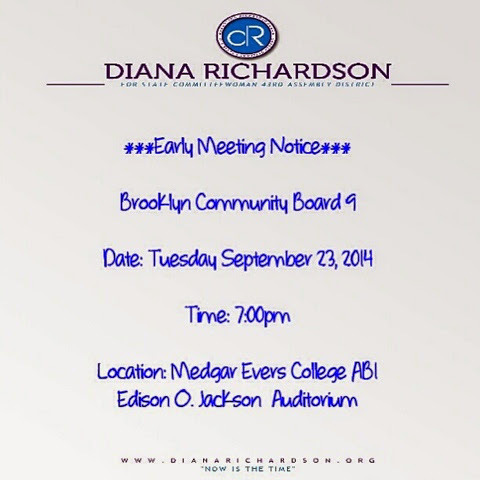 The meeting will be held in the Edison O. Jackson Auditorium at Medgar Evers College Tuesday, September 23 at 7:00 PM. We urge you to please attend this meeting if you can. It is very important that we are well represented and have a say in the future of our neighborhood.